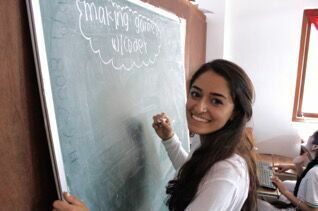 Liz: Today’s guest post comes from Sonia Uppal, a high-school student from California. We first met Sonia at the Bay Area Maker Faire a couple of years ago, and she emailed me this month to let us know about a project she’s been working on. What she’s doing is extraordinary. Here’s Sonia to tell you more about it. Pi á la Code is a project I began in July 2013 as a way of teaching underprivileged teens in rural India how to code using the Raspberry Pi. The first exposure I had ever had to computer science was during my 3-year stint in Bangalore, India in middle school. And I really disliked it. The curriculum was dry, the material boring, and we started off learning Q-BASIC and Logo: the least interesting subjects for a 6th grader. All instruction was on boxy PCs that were otherwise used for writing documents and presentations. When I moved back home to the San Francisco Bay Area in 2011, quite by chance I participated in an App Design competition and we dabbled with Balsamiq and Eclipse. Now it was getting more interesting. But, I still couldn’t forget what an awful introduction I had to the world of Computer Science, and I wanted to do something about it. I just didn’t know how. And that’s when I stumbled upon the Raspberry Pi at the Bay Area Maker Faire 2012, when I was browsing around looking at cool designs and crafts. Here was a cool looking tiny computer just for teaching kids how to code! 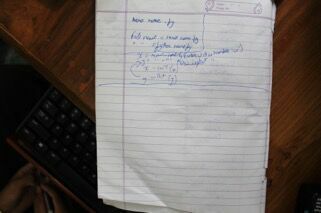 What if I used the Pi to teach kids back in India how cool it was to code? However, I also realized that students at an elite school in an urban city in India would still have access to technology if they went out and found it. But students in rural India would never have this access. So I went back to a little school tucked away in a village in North India, called Kasauli, which was an area I had visited before. 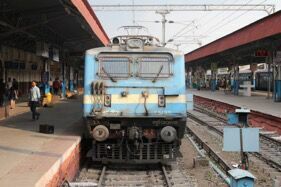 The train I took on my way to Kasauli! A plan began to form. I raised money through GoFundMe.com to create ten Pi teaching sets with Raspberry Pis and peripherals. 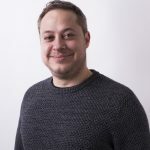 I developed my own Python curriculum by hand, after teaching myself how to code in Python. 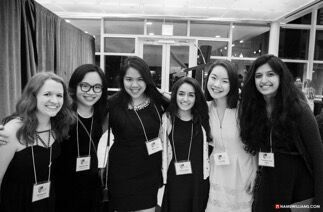 I was also helped immensely by being selected as a Stanford SHE++ fellow in my sophomore year. SHE++ is an organization that works to help close the gender gap in computer science. I met some amazing people through the fellowship and was paired with a mentor, Will, from Stanford, who has been with me throughout the Pi á la Code journey. 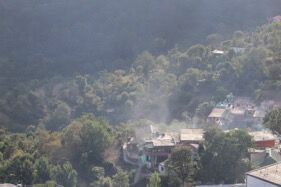 After tying up loose ends and contacting the school, I flew out to Kasauli, India for a ten-day trip my sophomore year. My time in Kasauli was tumultuous but rich and rewarding. In Kasuali, my only mode of transportation was by foot; I didn’t have access to a phone either. Living “unplugged” for a week really helped me bond with the students. I had a full class of 9th and 10th graders, which was quite interesting since I was the same age as them. We got to know each other quickly, and the language and cultural barrier didn’t hold us back from having a great time. At the end of the week, the students even invited me to join them on a weekend trip to the local fair! They learnt the Pi and basic Python quickly, which was incredible since the only computer experience they had prior was learning how to save a Word document or restart a monitor. After I returned to California, I continued to teach the students over Skype for the following year, assigning homework and challenge problems. 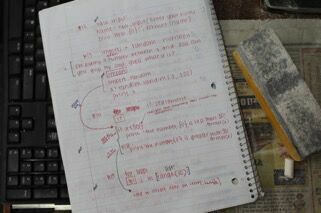 I also began to explore web programming during the year and found it to be intuitive, fun, and awesome! I really wanted to find a way to show my students visual programming, and that’s when I discovered Google Coder. 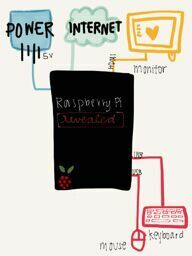 It uses the Pi to teach web programming by creating a tiny server which the kids can make apps on. It’s very intuitive and user friendly, the perfect way to get younger students interested in coding. When I was in New York City in the summer, I had the opportunity to meet Jeff Baxter and Jason Striegel, the founders of Google Coder. They gave me great advice and helped me finalize my plans for what I want Pi á la Code to become. They absolutely loved the web programming! While Python is very useful for understanding the fundamentals of computer science, web programming really hit home. It was fun, engaging, and produced immediate responses. I am still teaching these same students today. 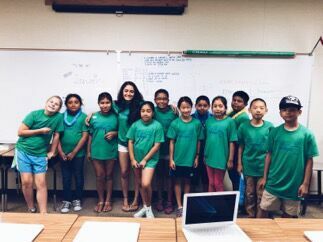 After returning back to California again, I had the opportunity to teach Python to 5th grade kids in the Bay Area. I served as a camp counselor at the Bullis Boosters Camp for socio-economically disadvantaged kids. and this year we added Programming on the Pi. They also got quite interested in coding and programming. I am really glad that I have been able to reach so many kids through this project. Right now, I am making an e-book compiling all of the various lessons and curriculums I have implemented. 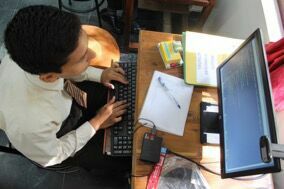 I am also still teaching my Kasauli students; some of them have gone to college now and are interested in computers. I am currently in the process of proposing to bring more Raspberry Pis to the state of Himachal Pradesh, India. I’m excited to see what the future of Pi á la Code will mean for kids everywhere. I believe that every child, no matter what circumstances, deserves the chance to get to play with some really cool technology. Wow… What an incredible story! Amazing. If you read this Sonia, I’d be really interested in keeping up to date on your e-book. I live near Kasauli… Good to see such projects here. Even y introduction to coding was crap. Rpi can and should change this. I have a lot of friends doing computer science engineering, and only a handful of them enjoy what they do. A Big Thanks Sonia for what you have done to educate the children. So i would like Raspberry pi foundation and more people like Sonia to take part in empowering childrens of other areas also. Try and include Scratch in your curriculum and see how it goes. A BIG Thanks Sonia for what u have done. Great story, inspirational. Reminds me how lucky I was to grow up in the UK. Try and include Scratch in your curriculum. It may prove to be a good starting tool. Thank you Sonia for your work! It’s really fantastic to see you going out and doing this. Great work, Sonia! :) Congratulations for your results and I hope to see that e-book really soon. :) Maybe the Raspberry Pi Foundation will use it to shape an officially recommended curricula for schools. Nice work Sonia! Your Idea of spreading Pi to rural parts of India is great. Sounds like lots of fun introducing the Raspberry Pi to new people. It is worth mentioning that learning to program with Q-BASIC and Logo is exactly the kind of computer literacy that the Raspberry Pi was designed to bring back after such things had been replaced in western countries with mouse-driven secretarial skills using Windows PCs. 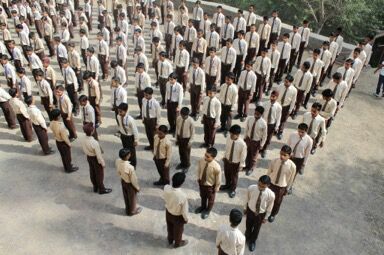 A strong case could be made that India is currently ahead in the widespread teaching of computer science. It would be brilliant to directly transition to the Raspberry Pi and Python. The efforts of people like Sonia should help greatly to show even though Q-Basic and logo are old-fashioned that computer programming still belongs in a modern curriculum. Thank you all so much for your positive comments and feedback. I’m in the process of revising the ebook to include the Pi Zero. If you guys have any more feedback, feel free to contact me at Facebook.com/pialacode! I fail to see why BASIC and LOGO can be boring for a 6th grader. After all, those are the languages I started with and around that age, as well. Mind you, I was using CAD/CAM program to draw cartoons, so I’m not exactly normal. But it’s the hands, not the tools, that makes the difference. I’ve learnt Python, and I found it boring and sleep inducing. I much prefer Perl and Processing, instead. I also prefer C to C++. In general, the simpler the language, the more freedom of expression I can have, and the happier I become. Scratch is a nice introduction, but I think if you want to just get their feet wet, then LOGO or LEGO or even Sonic Pi, is hard to beat. Very inspiring story. I hope that other teachers and student will follow this example. Mee too interested in extending the Raspberri Pi education in Chhattisgarh Region, India.